Thank you to the many Foundations and Granters who have contributed to the Stratton Foundation over the years, particularly after Hurricane Irene in 2011. We are proud to receive your recognition that validates the necessary good work in helping Vermont’s children and families in-need. In 2015, the Brown Family Foundation awarded $10,000 to support ‘Student Success’ addressing the cycle of rural, generational poverty through ground-breaking education. In 2011, the Brown Family Foundation awarded $10,000 to help southern Vermont after Hurricane Irene. 2013-2015, the Panwy Foundation awarded $500 each year to support our children & families in-need. In 2011, the Panwy Foundation awarded $12,200 to help southern Vermont after the devastation of Hurricane Irene. In 2015, RMHC awarded a $5,000 grant to support our children and families in-need. In 2011, RMHC awarded a $4,000 grant to help southern Vermont after the devastation of Hurricane Irene. In 2015 and 2016, Party With Purpose awarded $1,000 each year to support the weekend food backpack program at the Jamaica Village School. In 2014, the Ben & Jerry’s Foundation awarded $500 to support the children and families in-need. In 2017, the Agnes M. Lindsay Trust awarded $5,000 to the Stratton Foundation to support our work in the community to provide dental care to our local children in need and the purchase of necessary children's dental screening equipment. 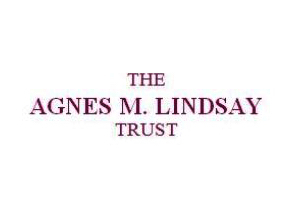 For the past 78 years, the Agnes M. Lindsay Trust has been providing financial assistance to nonprofit organizations that help those in need. The Trust's focus areas of giving include Health, Welfare, Dental & Oral Health, Education and Camperships.